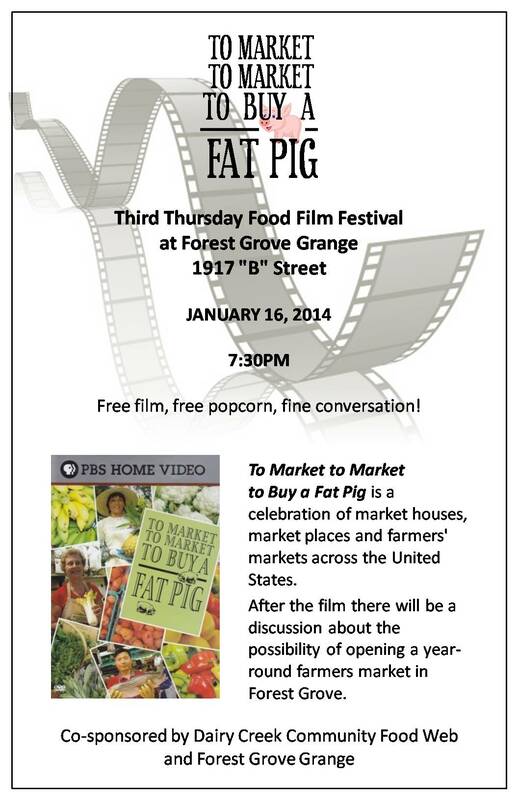 Year Round Farmer’s Markets are the focus of Food Film Fest Next Thursday! Previous Post: Food Film Festival Next Thursday! Next Post: F.E.A.S.T. in Forest Grove again… in March 2014! So excited about this!! I moved here at the end of the summer from Huntington, West Virginia where I was involved with a year round indoor market! !